When 73% of B2B marketers say webinars are the most effective way to generate high-quality leads, you know there must be something to it. That stat comes from InsideSales’ Optimal Lead Generation methods report from last year, which provides insights from the world’s top sales and marketing leaders. Here at Venture Harbour, we’ve enjoyed great success with webinar marketing, too. And, in this guide, we’re going to show you how to do the same with an automated, evergreen webinar strategy that generates high-quality leads around the clock. Best of all, you only need to set up this strategy once and it’ll keep working in the background while you and your team focus on closing leads. What is automated evergreen webinar marketing? First of all, let’s clarify what we mean when we say “automated evergreen webinar marketing”. If you’re not 100% sure what a webinar is, it’s simply a seminar broadcast over the internet which people can sign up to attend (watch) before they begin. Get the highest number signups from people interested in attending your webinar. Maximise the percentage of signups who actually attend/watch your webinar. Now, evergreen webinar content should be as fresh and useful for attendees this time next year as it is now, meaning you can record your webinar and keep using it to generate new, highly-qualified leads. Better yet, you can automate the lead generation process so your webinars are picking up attendees, engaging them and converting them without you having to do any additional work. In other words, an automated evergreen webinar strategy is a one-time investment that keeps generating leads and increasing its own ROI over time. What are the benefits of automated webinars? Webinars are a proven lead generation strategy but creating and hosting events on a regular basis isn’t practical for most brands. In fact, even holding a single live webinar can be tricky – not to mention expensive – unless you have all the right resources in place (venue, camera equipment, lighting, etc.). The more webinars you hold, the more expensive and challenging your strategy becomes. Unless you record a single webinar, schedule replays that people can watch any time and automate the signup process. This way you turn a single webinar into a lead generation strategy that works 365 days of the year. As always, there are some downsides to automated webinar strategies, too, so here’s a quick look at the pros and cons. The reality is, no piece of content is truly evergreen because things always change. What’s relevant in your industry today might not be in ten years’ time. More importantly, the demands of your target audience are going to change and you could even be targeting an entirely different audience five years from now. For the purposes of an automated evergreen webinar strategy, though, you need to create content that’s still going to excite your target audience and provide value for as long as possible – be it a year, five years or a decade. One thing you need to avoid is time-sensitive references that could hurt the relevance of your webinar. For example, talking about the World Cup in Russia this summer is going to be irrelevant as soon as the competition finishes in July 2018. Likewise, referencing something that happened “last year” is going to cause the same problem when someone watches your webinar in a years’ time. Mentioning historical events like WWII won’t be an issue but be mindful of references that become less relevant as time passes. Finally, there’s the challenge of making recorded webinars interactive and this is something we’ll address later in this guide. As you can see, there’s a headline with a compelling proposition, a CTA button and logos of some of the world’s leading brands to whose marketers have attended this webinar. Then you have that countdown at the top, creating a sense of urgency and compelling people to sign up now so they don’t miss out. Here’s the thing, though: this webinar is prerecorded and playing on loop every 60 minutes, meaning there’s nothing to miss. People can watch this webinar any time they want and if they miss the scheduled viewing they sign up for, lEadformly simply reaches out to them, asking them to watch another screening. All of this is automated, meaning leads are coming in from highly-qualified visitors without Leadformly’s marketing or sales teams needing to do anything. Last year, we published an article looking at how we achieved to get a 75.62% webinar attendance rate, more than double the average for marketing webinars. So how did we pull this off? You guessed it: with an automated evergreen webinar strategy that continues to generate and close leads all by itself. If you want to read the full case study, you can do so by clicking this link but I’m going to summarise the main points now. 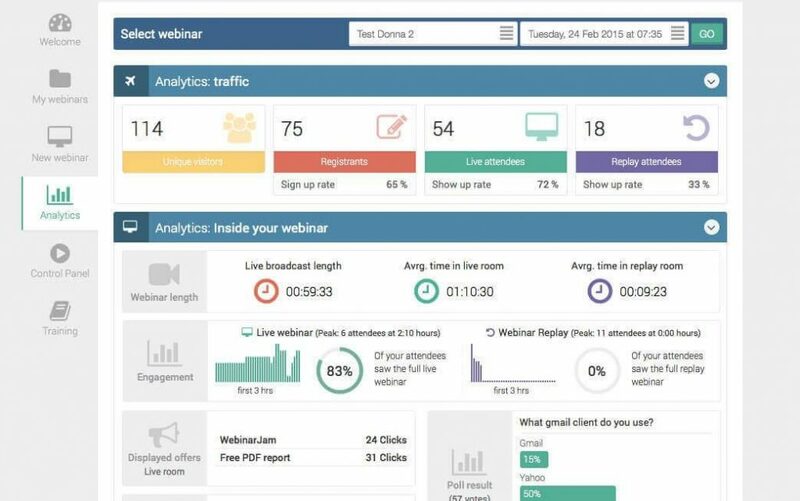 To run an automated webinar strategy you’re going to need the right tool and we chose Everwebinar, which allowed us to go from manually scheduling three webinars per week to running them constantly, automatically. One of the best features Everwebinar has to offer – and a key reason we decided to use it – is Just-In-Time Webinars. This means you can let users watch your webinar on-demand, at a time that suits them. They can literally click- through and attend your webinar almost instantly instead of having to wait days or weeks, by which time most of your signups won’t attend. 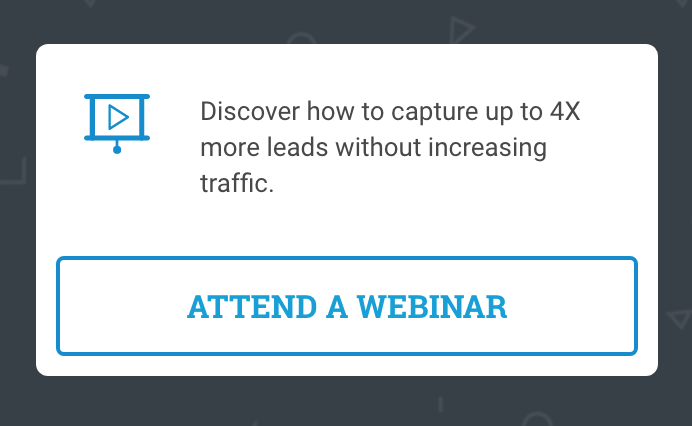 Using this feature alone, we boosted attendance rate by more than 100%, from 20.56% to 42.46% – already above the industry average for marketing webinars. You’ll year this phrase used in all sorts of marketing blogs and here’s proof it actually works. 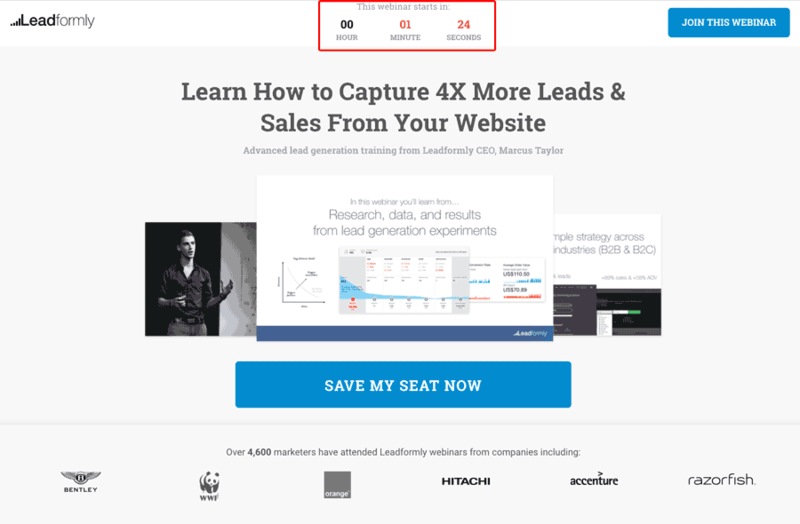 By adding a countdown timer to the signup page, users are encouraged to reserve that seat now, rather than miss the webinar or have to wait for the next one to start. Finally, we created an audience segment of people who signed up to watch our webinar but didn’t attend. By reaching out to these people, we’re able to remind them why they signed up in the first place and give them the chance to watch another screening. By automating our evergreen webinar strategy, we were able to increase attendance rates to 75.62% in less than a year. It was an incredible turnaround, considering we were only achieving 20.56% twelve months previously – more than a 300% increase in highly-qualified leads from a single webinar. Not only were people watching our webinars in greater numbers, they were watching it in full, thanks to the on-demand environment we created. Better yet, 33% of attendees are now coming back to watch our webinar a second time and they can do so whenever they want. Don’t take our word for what automated evergreen webinar marketing can do for your brand. Create your own strategy that generates qualified leads for your business and cut out 90% of the workload normally involved with running live webinars.